I’m definitely a fan of hi-viz garb. (Hmm…do hi-viz cargo shorts exist? Answer: Yes, but they look cumbersome). It seems pretty well known that hi-viz works, especially when worn on the lower body. That allows drivers to detect “biomotion” which intuitively identifies us as cyclists / bike riders / people-on-bikes. 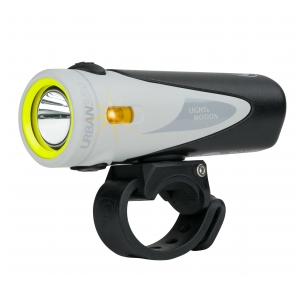 By the way, if you don’t have a decent headlight be sure to take at Light and Motion’s Urban lineup. I reviewed the 350 a while back and their products have only gotten better and brighter. Considerable MORE hours were spent plotting out how to most efficiently arrive at the Oakland Airport, transfer to the nearby hotel, and get the bike from across the bay. Or, arrive, pickup the bike and then check in. And, to reverse that process on the way home. Or, the other way around. The Bay Area abounds in transit: BART, ferries, Uber et al, bikes, and feet. Some ferries run on the weekend, some don’t. BART runs nearly 24/7 but takes the lon g way around from OAK to Market Street in San Francisco. The ferry is faster and way more fun, but the Harbor Ferry closest to the hotel doesn’t operate late nor on the weekend. Traveling light was mandatory. My usual frequent flyer roll-aboard was too big and unbikeable. I didn’t want to schlep a biggish backpack through the airports, but kinda-sorta-definitely needed some kind of backpack for the bike pickup and dropoff. Maybe. Well, only if I chose to take BART direct from OAK to the bike shop. In that case, I’d need the backpack to bike BACK to BART or the ferry to get to the hotel. Pretty much the same story on departure, should I chance the trip into the city (with a backpack) and then race to the airport on the morning of the flight? Or was it smarter to return the bike the night before and endure being on foot the last evening? After way-too-much-thinking-about-it, I armed myself with schedules in my phone and the realization was that the best plan was to wait until arrival and decide based on time-of-arrival, bike shop closing time, and whether the ferry was still running. So, I needed a medium, maximum flexibility, roller backpack. And Amazon proposed this High Sierra Rev Wheeled Backpack. I read all of the reviews, reviewed all of the related items, and visited a couple of local stores. It really came down to this bag or a LARGE backpack. Since 90% of the bag’s mission would NOT involve being in backpack mode, I ordered it. Would it be big enough? How well/poorly does it work in backpack mode? As a former frequent flyer, did I really need another bag? How will High Sierra address warranty issues, because too many Amazon reviews complained about that. Yep, big enough. I’m a big guy and semi-easily fit four days worth of casual wear, my laptop and miscellaneous electronic stuff. NOT enough room, however, for a spare pair of shoes. Not great. I tested it at home and the straps were too short and too thin. I knew this going in from the reviews, which were spot on. It would, however, have sufficed for the bike transfers with the pack. It turned out that I ended up arriving/departing via the hotel and ultimately didn’t need the backpack functionality. However, it was worth it to me to have the flexibility to make my aforementioned tactical transit decisions. No. But it was $58, a breeze at the airport, and fit handily into the overhead bin. We’ll see. One of the zippers jams a bit and one roller is pretty wobbly. Check out my complete Amazon review for more details. If you ride your bike in the dark, even at dusk, you need lights. In the U.S., all 50 states REQUIRE a headlight and a tail light or reflector. Getting a ticket is one thing…but you absolutely don’t want to get hit by a car. And, unless you ride exclusively in well-lit urban areas, you probably need to be able to see in front of you. In fact, using bike lights in the day time is becoming increasingly popular. There are some amazing lights available these days. If you want to dig into all the ins and outs of lights, head over to the Bike Light Database. They have in-depth reviews of hundreds of headlights and taillights as well as recommendations. Highly recommended! Update: My unit stopped working (blinking green while charging, otherwise unresponsive) after about 2.5 years. That’s disappointing, but the current price (as of 2019-01-05) on Amazon is $19. For that amount, I’m buying a couple more.